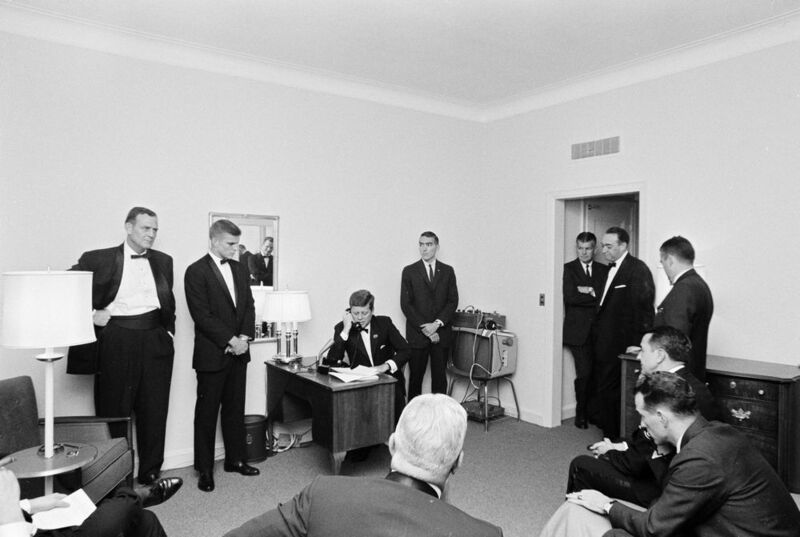 Paul "Bear" Bryant; University of Alabama quarterback Pat Trammell; President Kennedy; White House Army Signal Agency (WHASA) staff member John J. Cochran; White House Secret Service Agent Gerald A. “Jerry” Behn; sportscaster Mel Allen; two unidentified men; WHASA staff member Jack Rubley; Alabama businessman Tom Russell (back to camera). 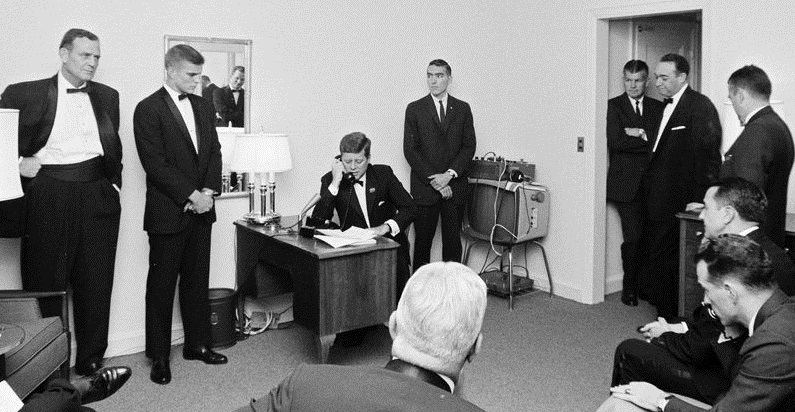 Room 805, Waldorf Astoria Hotel, New York City (December 5, 1961).